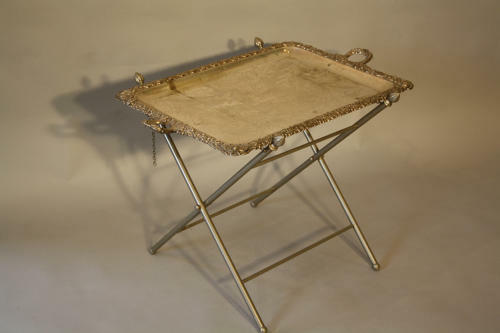 A very decorative Victorian silver plated tray table. Pressed pattterned silver metal edges and etched central decoration. The tray lifts off a folding X frame. French c1900.